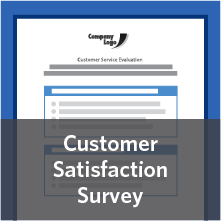 When you create a survey in SoGoSurvey, you can start from scratch and write your own questions, or choose one of the pre-written sample surveys in the Survey Bank. All the sample surveys were designed by survey experts and used in real situations. You’ll find some examples of these below. You can delete and edit the questions in any sample survey, as well as add any type of question. To use one of these sample surveys, sign up for a SoGoSurvey account. Find these and many more on our new sample surveys web page.